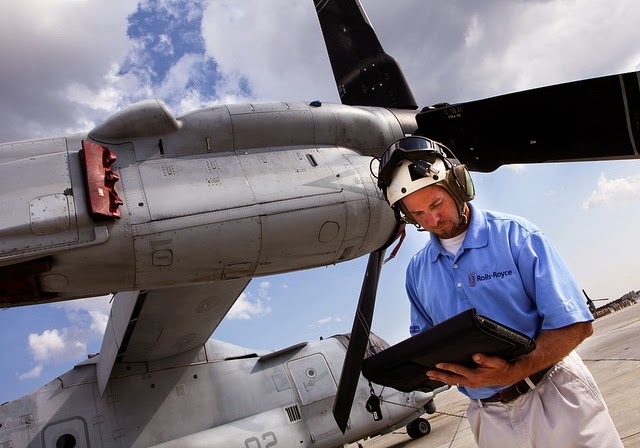 Rolls-Royce has been awarded a new two-year contract to provide aftermarket engine support for the US Marine Corps and Air Force V-22 fleets, which provides a reduction in support costs of more than 30%. The contract, through the company's innovative MissionCare model, is valued at up to $287 million and will cover all V-22 aircraft across the Marine and Air Force fleets. Rolls-Royce is the sole engine provider for V-22 aircraft and has delivered 750 AE 1107C engines to the programme. The reduced maintenance costs result from a significant improvement in engine time on wing since 2009 when the original MissionCare contract was signed. Rolls-Royce has invested $90 million in capability and reliability improvements for the AE 1107C engine. Rolls-Royce has designed a series of upgrades that boost 'hot and high' performance and add 17% more power to the engine over the original specification. MissionCare, a Rolls-Royce developed package of services, incentivises the company to design, develop and implement technology and affordability improvements to benefit the customer. Tom Hartmann, Rolls-Royce, Senior Vice President Customer Business, said: "This new contract demonstrates confidence from V-22 operators that Rolls-Royce will continue to provide outstanding service and capability to the V-22 fleets. Operators know they can count on Rolls-Royce to provide the power and support they need to succeed in their missions - while also focusing on increased affordability." The Rolls-Royce AE 1107C engine is robust and battle-proven, demonstrating reliability during deployments across the Mideast, Africa and the Pacific. V-22 operators have never cancelled a mission due to engine availability. The AE 1107C engine shares a common core with the Rolls-Royce AE family of engines, which totals more than 62 million flight hours of service and includes nearly 6,000 total engines in military and commercial service.